Prime Evil is not somebody most people want to meet. PALESA MORUDU had personal reasons for wishing to keep her distance from Eugene de Kock, even if there were questions she would ask him if she were to meet him. And then, he sat down right next to her. This year’s Franschhoek Literary Festival was a surreal event. That is to say, more surreal than usual. Many of South Africa’s bookish types meet annually in this beautiful, moneyed valley to talk to one another about writing, politics and life. In the process a lot of wine is consumed, perhaps because the subject matter, South Africa, is a messy topic. Sometime last year, I listened to Redi Tlhabi’s radio show when the host interviewed Anemari Jansen, author of Eugene De Kock Assassin for the State. At the time, I was reading Stanley Manong’s If We Must Die. Manong, a former uMkhonto We Sizwe (MK) commander, has published his memoirs, which detail his experiences in ANC camps in Angola. De Kock, who was perhaps the most “effective” murderer in the employ of the apartheid state, makes an appearance in Manong’s book. His unit intercepted several of Manong’s operations inside the country. After reading Manong’s book, one is left with the sense that De Kock may have played a role in the brutal killing of Manong’s mother while the latter was in exile. De Kock was tried for his unspeakable crimes. He later provided information to the Truth and Reconciliation Commission that helped to shed light on some of the operations in which he was involved – however selective his memory may have proved. 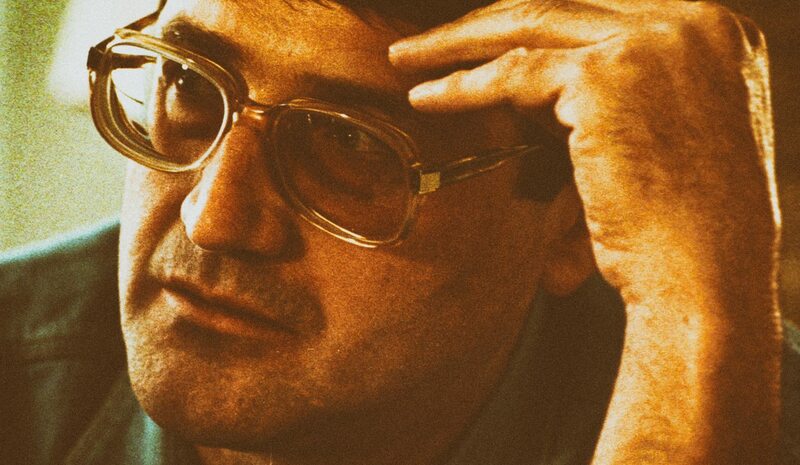 For a number of years preceding his release from prison, De Kock gave information to the Missing Persons Task Team of the National Prosecuting Authority that proved invaluable in bringing up the bodies. De Kock served his time and he is now a free man. Jansen has written a book about him. Manong has written his own book. So it made perfect sense to me that last Friday, Manong and Jansen were on the same panel at Franschhoek, with Tlhabi facilitating the discussion. I froze. There is a history between my family and De Kock. I always wondered how I would react if I ever met him in person. My friend and I walked to the session. The hall was packed. Tlhabi, Manong and Jansen were on stage. I sat with my friend at the back, close to the exit. In walked De Kock. He sat next to me. Eish! The conversation began with Tlhabi asking Jansen, “What did Prime Evil say to you about what he did? Does he have any regrets?” She asked Manong about some of his operations that De Kock had intercepted and they also talked about some of the many people he had turned into askaris or killed. At this point, Eugene De Kock started to have a quiet cry. Only five people in the room knew he was in the audience, and only those in his immediate vicinity would have noticed the tears coming down his face. Jansen mentioned the work De Kock is doing with the Missing People’s Task Team. At which, it was my turn to have a quiet cry. My mother met De Kock in prison several years ago. She was desperate to close the chapter of her missing son, who was an underground MK soldier in Mamelodi. De Kock delivered. The details are gruesome, but the chapter is now closed. You can read about it here. I always wondered what I would do if I ever met De Kock. Now he was sitting next to me. He has been crying. I have been crying. History is a messy business. The session ends. Do I walk or do I talk to this murderer, a broken man? I choose the latter. He remembers meeting my mother. “I’m glad I could help,” he says. I am completely conflicted. Manong says De Kock was a soldier of apartheid. Manong was a soldier of MK. They fought, not a conventional way, but war nonetheless. The war ended. The scars remain. It is South Africa’s unfinished business. While De Kock walks the earth, I hope that if he does nothing else, he helps many more families who are yet to find closure. There are many who would like to know where they can find the bones of their loved ones, if only in a symbolic sense. De Kock is a free man. His presence at Franschhoek caused some to elicit moral outrage. I have a different take. If you walk, talk and drink in the same space as Neil Barnaard, FW de Klerk, Pik Botha and their ilk, add Eugene de Kock to your list. He was their foot soldier. He took the proverbial bullet. Apartheid was prime evil; De Kock was simply its loyal servant. You can’t be morally outraged by De Kock and not be morally outraged by De Klerk, or the devastation apartheid brought to black South Africans. Morudu is a writer and MD of Cover2Cover Books.